Ever want to see a real live action full contact Women’s Roller Derby game? Now is your chance, Friday May 31, game starts at 8:00 PM at SLS arena. Watch Rocky View Rollers take on East Side Wheelers. Vendors will be present. All money raised will be donated to Big Hill Haven Women’s Shelter. Like the thought of being a roller derby player? 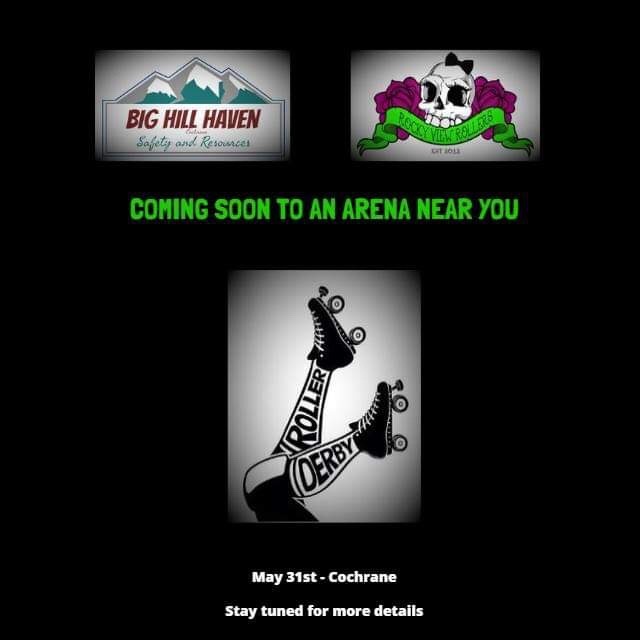 Rocky View Roller Derby Association is expanding to Cochrane come September. Everyone age 18 and over welcome. Yes men, there is even an opportunity for you to play too. Go to rvrollers.com or Look us up on Facebook at Rocky View Roller Derby Association for more information.